The holidays can be a stressful time for many people. There’s shopping, baking, cooking, entertaining, decorating – and the list goes on. Do you want to eliminate the stress of the holidays and actually enjoy Christmas with your family? I know I do! If you answered YES to this question, grab this Free Printable Holiday Planner Pack! 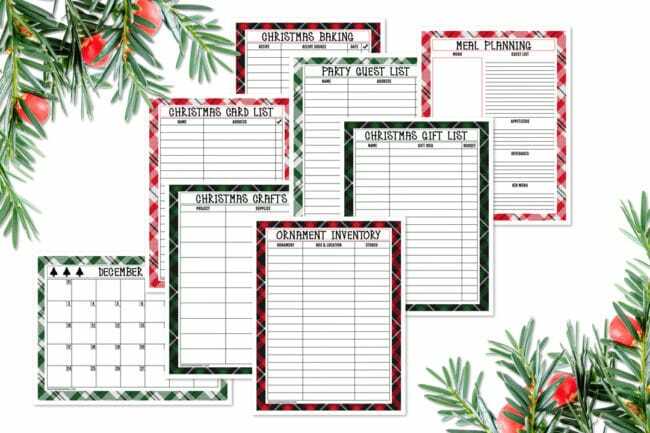 Designed by Shannon of Painting Paris Pink, there are 8 free holiday planner printables to help you organize everything from your gift list to your party and meal planning. Get organized NOW and celebrate the Christmas season with joy! December is almost here, so now is the time to get organized, so you can avoid all of that holiday stress. This Free Holiday Planner Printable Pack can be downloaded, printed on cardstock paper and organized in a holiday binder for you to tackle this crazy busy season head on! If you’re anything like me, you love to entertain for the holidays. And since you want everything to be perfect, you stress yourself out making sure you have everything in order. I’ve learned that writing things down really helps me stay calm and organized. This free holiday planner pack includes a December calendar so you can write down important things. It also includes a Christmas Gift List, Party Guest List, Meal Planning, Christmas Baking List, Christmas Card List, Christmas Craft List, and a special Ornament Inventory List. So don’t let the holidays overwhelm you. Print out this Free Holiday Planner Printable Pack today! To create your holiday binder, all you need is a binder, dividers with pockets and sheet protectors. Write down everything you have to get done and cross each task off as you go down your to-do list. Make sure to prioritize your list in order of importance. Create a holiday budget to avoid overspending. Shopping, entertaining and decorating can get expensive fast! Avoid stress in the new year by staying on track with your budget. Get your holiday shopping done early. This is a big one! Save your sanity and don’t be one of those last-minute shoppers whose running around a few days before Christmas. Delegate. 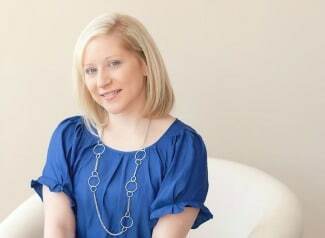 Girl, you are one person, so don’t try to do the work of 12! I know, I need to remember this one too! If you’re hosting Christmas dinner at your home, ask everyone to bring their favorite dish! This will save you the time and stress of making the entire meal yourself! If you are doing a lot of entertaining at your home this holiday, start getting your home ready now! Organize your kitchen, eliminate clutter, and start deep cleaning. Don’t wait until a day or two before guests arrive before you start to get your home in order. Stock up on gift wrapping supplies and designate a space in your home for gift wrapping. If you have to wrap a lot of presents, do a little each day instead of wrapping them all the night before. Every time you buy a gift, wrap it right away! The holidays can be stressful and overwhelming. Staying organized is the key to getting through the holidays with a smile on your face. But remember the most important thing of all … enjoy this magical holiday season with your family and friends and create lasting memories. Happy holidays! 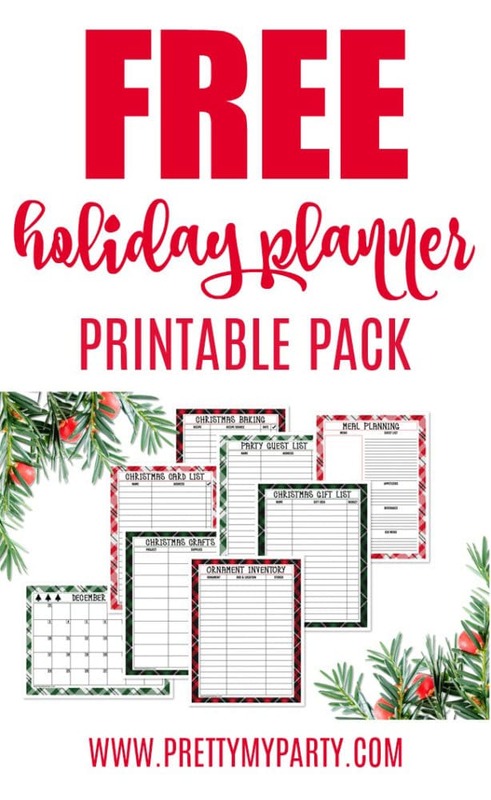 What do you think of this Free Holiday Planner Printable Pack?! Let us know in the comments below!